This recipe book is from the archives of the Stabler-Leadbeater Apothecary Museum. 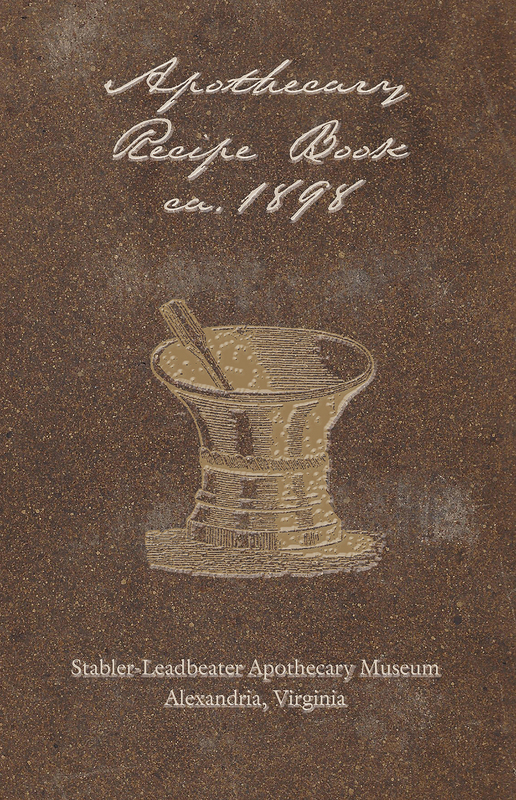 The handwritten booklet of medicine recipes was written around 1898. It contains over 80 recipes varying from Essence of Vanilla to Tincture of Opium. The booklet is a fascinating look at the operation of a turn of the century druggist, and is not intended to diagnose, treat, cure, or prevent and disease.